This week, the 6th Warwickshire Disability Hub will launch in Coventry at Hereward College and as with all the Super1’s Hubs, these are all free of charge and open to anyone with any disability. 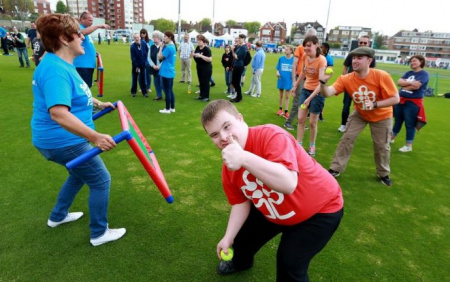 These hubs are inclusive of people with any level of cricketing experience as well as anything from Visual impairments, to Learning and Physical disabilities. At these sessions participants will use softballs and plastic bats to do a few fun, skill based drills and games followed by a match to finish. There is also the opportunity to complete the Sports Leaders UK award and other coaching qualifications, in addition to being invited to play in regular competitions!